Following a long-lasting tradition, the Economic Policy Institute organised for an eighteenth year in a row its already well-known regional forum – the Summer Seminar for Young Public Policy Professionals from Southeastern Europe and the Black Sea region. This year the annual event took place within the period May 29 – June 2, 2017 in Albena at the Bulgarian Black Sea coast thanks to the kind support of the Hanns Seidel Foundation, the Representation of the European Commission in Bulgaria, the Central European Initiative and the Austrian Embassy in Bulgaria. After a careful selection procedure, the 18th Summer Seminar entitled "Public Policy Challenges - European and Regional Dimensions" gathered together a diverse group of 35 promising young public policy professionals from the public administration structures and policy-oriented research centres from the following twelve countries from SEE and the Black Sea region: Albania, Bosnia and Herzegovina, Bulgaria, Croatia, Georgia, Macedonia, Moldova, Montenegro, Romania, Serbia Turkey and Ukraine. The 2017 edition of the forum was attended also by 15 prominent speakers – high-level officials from EU institutions, business sector, international experts and practitioners, university professors and experts from the academia, representatives of research centres and think-tanks from the SEE and Black Sea region. The seminar’s diverse programme touched upon not only key topics on the EU agenda such as the debate for the future of Europe, the effects of globalisation on the EU, the cohesion and catching-up within EU, the challenges before further European integration and EUs role in the Western Balkans and Eastern Europe, but also essential public policy issues linked to opening government data, e-government practices for enhancing public policy performance, regulation practices, and technological commercialisation. - How the debate for the future of the EU will affect EU Enlargement and Neighborhood Policies. This interplay of topics embedded in the seminar agenda in a form of lecturers and interactive sessions led to lively and thought-provoking discussions that facilitated the exchange of views, ideas and experience among the participating young professionals and the outstanding speaker who contributed to the forum. Besides obtaining new insights and food for thought during the panel sessions, the participating in the seminar young professionals from the region had the opportunity to continue the effective cooperation and networking also during the interactive sessions envisaged in the seminar agenda. The participants in this edition of the seminar had the chance to enroll in one of two parallel sessions, one dedicated to the data driven policies and another focused on the implications for the SEE countries from the rising importance of Asia. In addition, there was also another group task – developing scenarios for the future of the SEE and Black Sea region by 2030. Here the participants split in six groups and each of them presented their scenarios for the development of the region from a different policy area including migration, digital transformation, post-truth facts, climate change, demographic challenges. During the event EPI presented the findings of an inaugural survey among the Summer Seminar alumni network on the state of good governance in the broader SEE and Black Sea region and the challenges decision-makers face. The survey, entitled "Mapping of Public Policy Challenges in SEE and Black Sea Countries", aims at mapping the sentiment among the group of Summer Seminar experts on the current state of governance in their countries and is considered by EPI a bottom-up approach for examining current public policy challenges in SEE based on insiders’ point of view as well as a unique excerpt of opinions from neighbouring EU Member States and non-EU Member States. 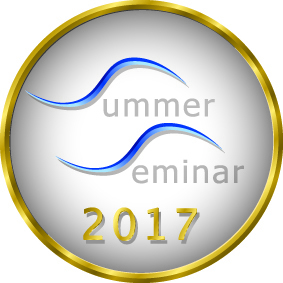 Detailed information on the survey findings will be included in the Summer Seminar 2017 publication to be issued both electronically and on a hard copy in early autumn 2017. After five days of comprehensive panel sessions, lively discussions and creative workshops, followed the wrap-up session as well as the official closing and certificates awarding ceremony. After a short address to the participating young experts from the SEE and Black Sea region, Prof. Andras Inotai, Honorary President of EPI was assisted by Yasen Georgiev, the Executive Director of EPI in awarding the certificates. After this emotional and inspiring wrap-up session, the participants had the chance to continue with the informal cooperation and networking during the cultural program of the seminar including an excursion to picturesque Kaliakra Cape and exploring the beauty of the Botanical Garden and the Palace in Balchik. The feedback gathered formally and informally from partner organizations, speakers and participants during and after the XVIII Summer Seminar proves that the forum has lived up to the expectations for providing a platform that delivers in terms of an increased exchange of knowledge and enhanced regional cooperation among young experts from the broader SEE and Black Sea region. 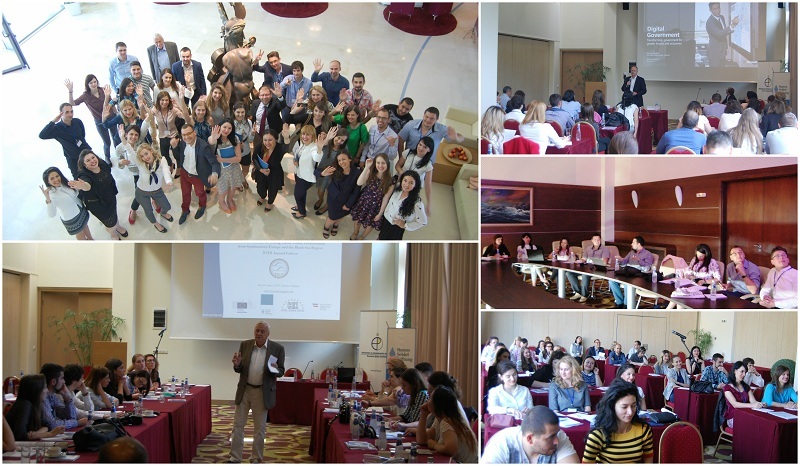 Last but not least, we at the EPI would like to express once again our gratitude to the participants, lecturers and supporters of the 18th Summer Seminar for Young Public Policy Professionals from South Eastern Europe and the Black Sea region and is already looking forward to it next year’s 19th edition.